A self promo poster, sipnning spin on my previous ‘No. 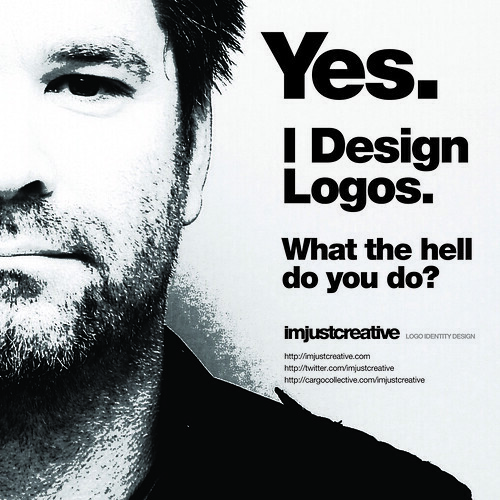 I don’t design logos‘ poster. Let there be no doubt as to my purpose in life. I design logos, and I am bloody good at it. How’s that for some positive self reinforcement. This one is based on a recently taken passport photo, which I have decided to use as a new profile picture for the likes of Twitter, FaceBook etc. Works well I think. Set in Helvetica Neue Black and Helvetica Neue Roman.